Fact #1: Robots are cool. Fact #2: Robots which destroy things are even cooler. 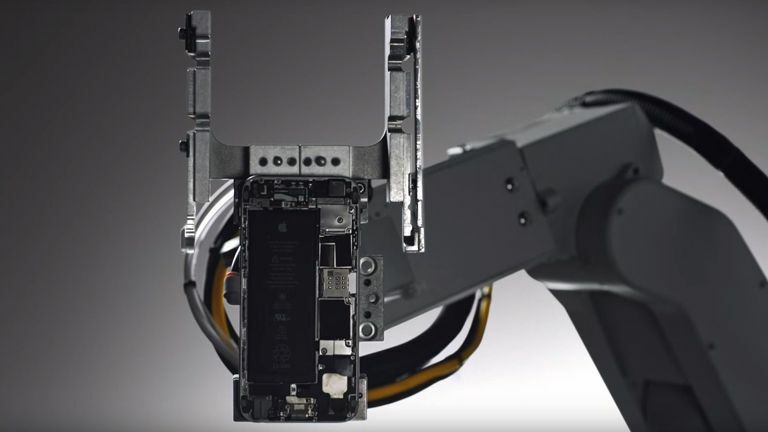 So when Apple makes an iPhone-destroying robot arm you know we're in for a treat. This mechanical appendageis named Liam - it's an R&D project which breaks down your iPhone so it can be recycled. It can salvage precious materials such as gold and tungsten, elements which would otherwise end up in landfill. The 'bot works at a rate of 11 seconds per process. It's all part of Apple's goal to become more eco-friendly, and they're hoping to inspire other companies to follow suit. Liam was designed and built in Cupertino, and will start life ripping iPhone 6 headsets sold in the US. But there's already another Liam being installed in Europe.